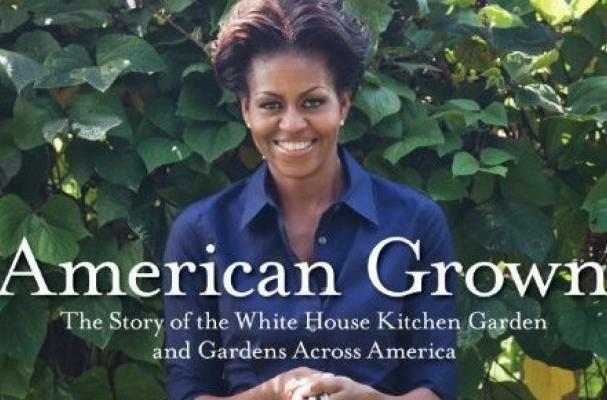 In her first cookbook, American Grown: The Story of the White House Kitchen Garden and Gardens Across America, Michelle Obama shares recipes from the White House Kitchen Garden. You will find recipes using a plethora of produce including different ways to prepare lettuce, corn, tomatoes, collards and kale, sweet potatoes and rhubarb. The book chronicles her trials and tribulations as a novice gardener while also telling the stories of various gardens across the United States and their impact on the community. Obama emphasizes the importance of eating fresh fruits and vegetables and has been an advocate for bringing healthier food into schools and communities as a way to fight against childhood obesity. American Grown is a cookbook meant to inspire Americans to plant their own food and to prepare something delicious with it.